With the flowering of the Arts in Central Europe during the Renaissance, numerous paintings showing dolls provided some documentation on their development. We know that primarily they were made of wood or wax, and that some heads were manufactured from glazed stoneware. 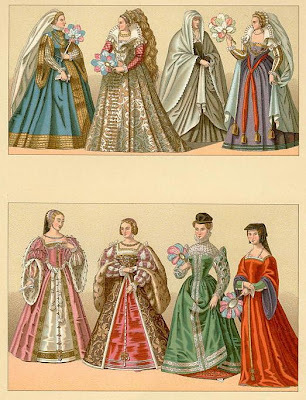 Dolls wearing the latest fashions were sent to the Queen of England, to show what was in vogue with the ladies in the court of France. 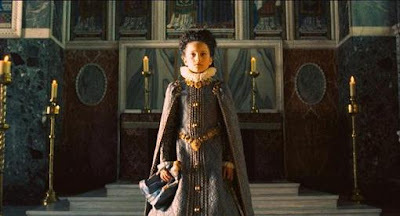 Perfection even to the underclothes was expected, so that a fashionable silhouette could be achieved. 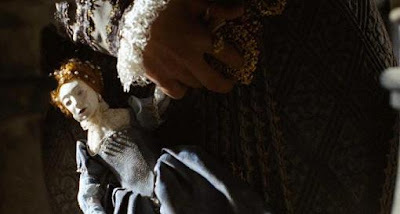 Infanta "Isabella Clara Eugenia" of Spain holding a doll made to the likeness of Queen Elizabeth the I..... from Elizabeth the Golden Age. 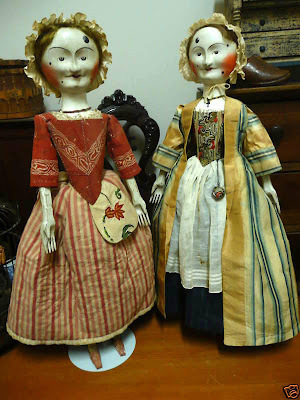 These dolls were allowed to pass between rival countries even during times of war. I just love reading all your information, and especially the pictures! You have a fabulous blog! Thank you so much Robin! Your comments are so welcomed. Is just the incentive I need to let me continue with this passion of mine. I simply adore your Izannahs. All your information is so fascinating...! 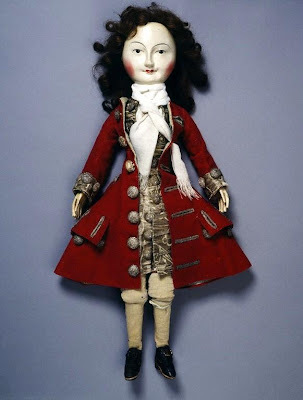 I love the male doll with the red coat. Gracias Alberto! I like that doll as well! The Victoria and Albert Museum has wonderful treasures! !hola marta! 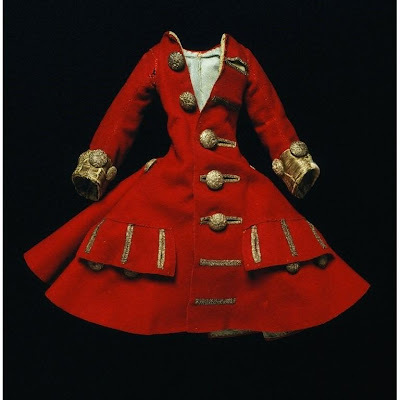 I am a student in England writing my final paper on 19th century dolls, and I see that you have gathered a lot of pictures on the subject. Do you happen to have all the info on them? or where you got them from? Please help me!